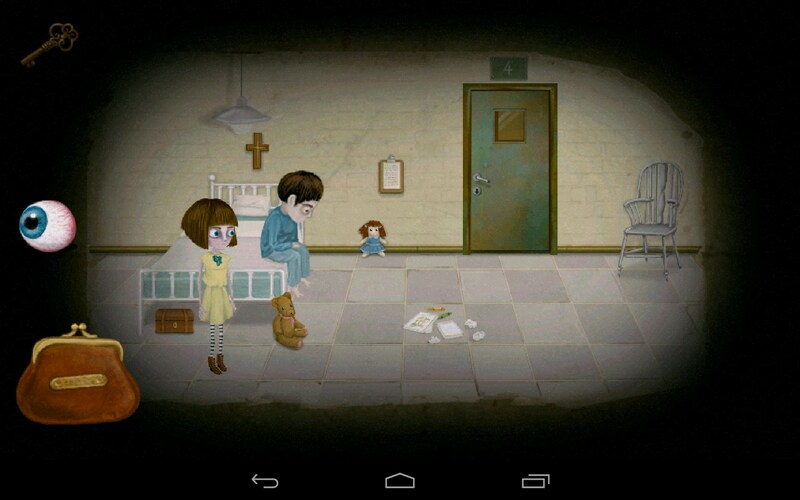 Fran Bow (Demo Version) – Games for Android 2018 – Free download. 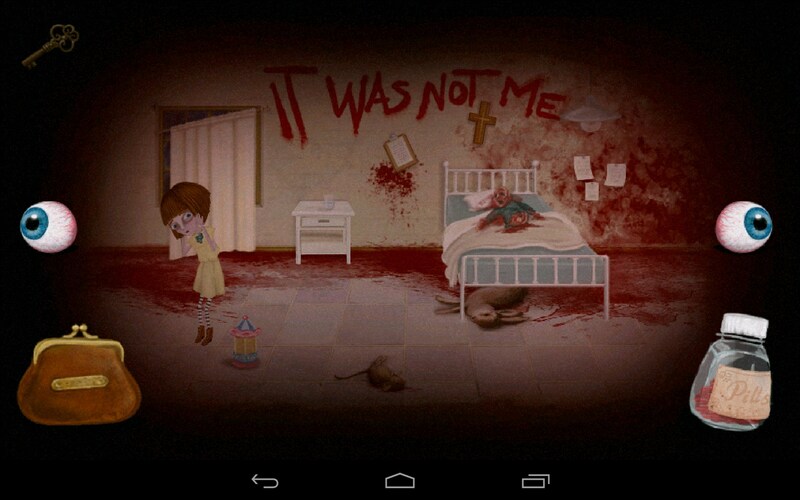 Fran Bow (Demo Version) – Exciting and really bloody brain teaser. 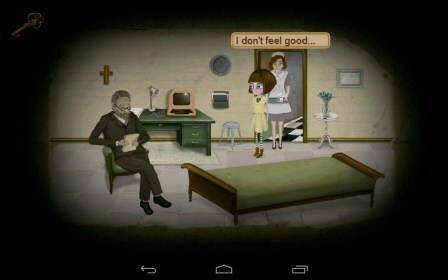 Fran Bow - impressive puzzle game for Android with action-character, based on the children's fears. Watch out! 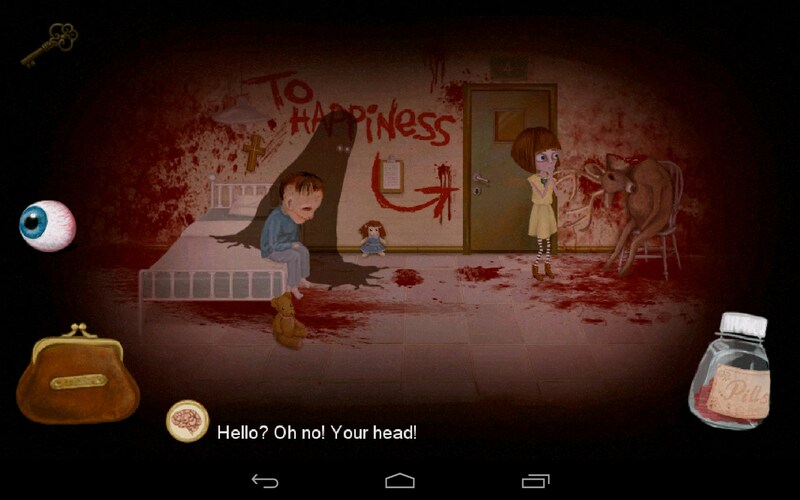 The game contains a lot of scenes with dismembered body parts, blood, and a variety of mental disorders. So far, the game is in development, so it is represented only by a trial demo version on only one level. But already it is clear that the game has the potential to become a hit with the right approach and if the developers of the original fuse enough to bring the case to the end. 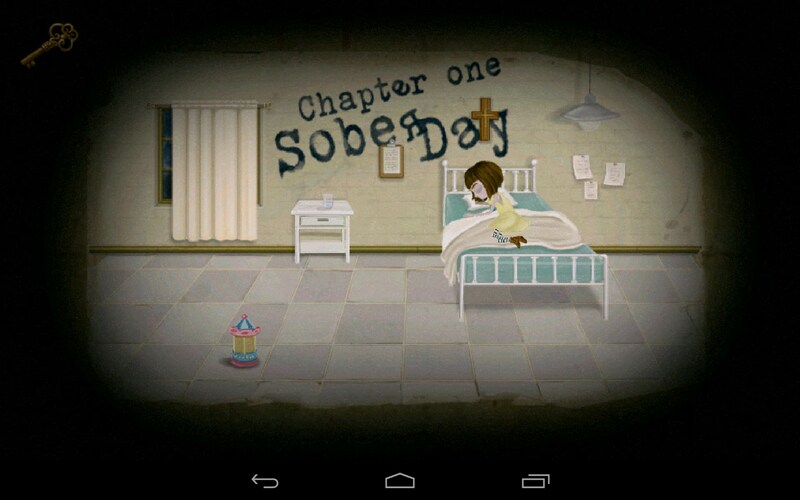 So, our journey to the darkest corridors of impaired mental little girl begins with the story of how she came to the hospital for the mentally ill. Her parents were brutally murdered, and she had to witness the bloody picture of scattered in different parts of the body part. As a result, a cruel fate gave her terrible mental disorders, which we'll have to fight in the process of passing tricky puzzles, quests and mini tasks. After reading the story is immediately ready for gameplay. Management expects us the most simple in style «point and click», so that everything will be intuitive in the process of passing. As always, we walk through the corridors and rooms, we select the right things, keep them in his bag a gift from my aunt, trying to use, find the clues are in dialogue with other characters and look for the way out to freedom, whether from the clinic, and whether because of their own mental illness. Opening the bag (bottom left button), we can do three things with found items available: find out what it is and what is intended to try to use, or to connect with the other thing, if possible. The game has two modes for action: normal and otherworldly. To get to the second we found by taking the drug. And this can be done at any time. 5 frightening chapters in the story. There is a lack of localization to different languages ​​for a foreign audience, because many of the dialogues are an important character in the story. Also, it is impossible not to notice the excessive amount of blood and other cruel, and it is clear - the plot requires. In this respect, again I would like to caution against installing the game to younger children, impressionable, to persons, and, of course, pregnant mums. Believe me, in spite of the large share of cartoonish, the game is able to engage in very much what is happening and not for each of the psyche it will be safe. Fran Bow - scary and exciting puzzle game for Android with a very specific story in the style of a horror adventure and a very good study of details in the demo version. The game is clearly a contra described above. And the rest, waiting for new chapters look, of course. All fans of horror stories and want to use your loaf recommend trying.